A true force of nature. 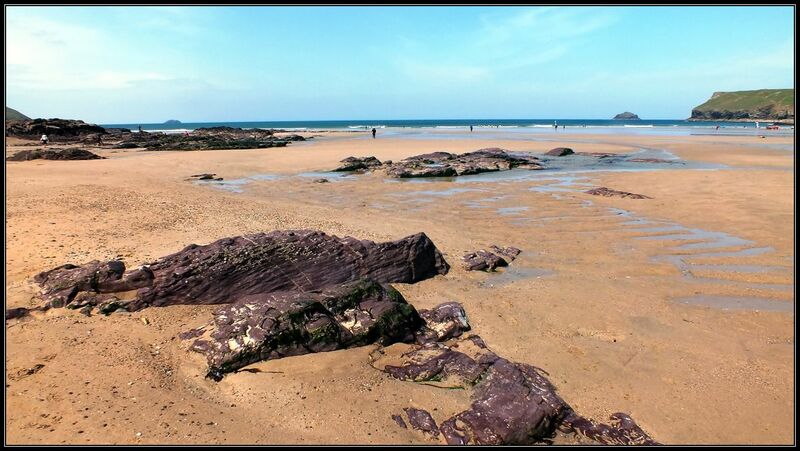 Polzeath Beach (north coast on the Camel estuary): Stripy slate formations in purple and pale greens. 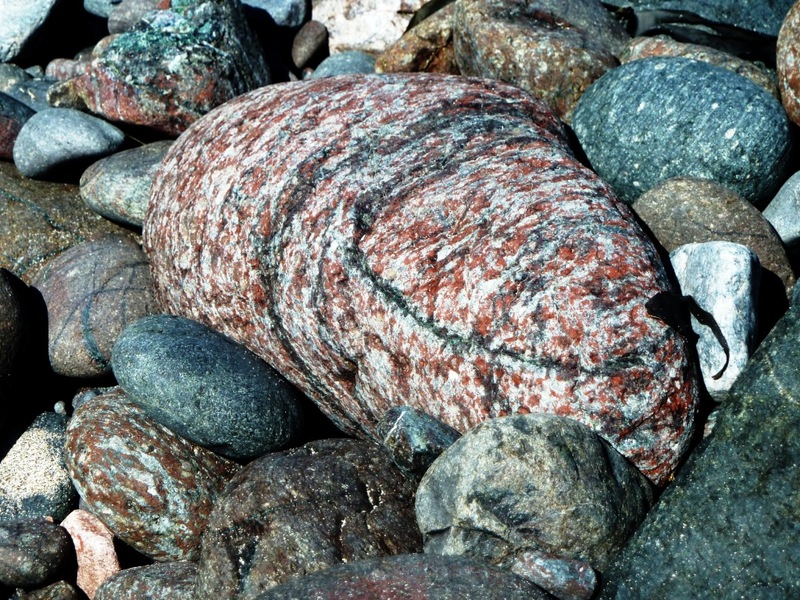 Kynance Beach (south-west on the Lizard peninsula): Serpentinite cliffs are made up of dark green and red rocks, polished by thousands of years of crashing waves to look like shiny snakeskin. Up on the cliffs by Chapel Porth on the north coast the rocks were lighter and redder. And at Boscastle (north coast, north Cornwall) I was intrigued by huge lumps of marble-like granite rocks along the pathway and on tops of Cornish stone walls. Whoa! The colours and texture on those rocks are amazing! Very cool and very old rocks Jude. Love them. I absolutely adore the colors. I just showed some of my students these pictures – they loved them as well! On our various hiking adventures, I developed a deep appreciation for rocks and rock formations. I regret not having some basic knowledge about geology because it is so interesting when you’re outside surrounded by magnificient rocks like the ones in your photos. I particularly love the purple and green rock. That’s a new one for me. I’ve never seen a purple rock. Absolutely gorgeous! …and it just keeps getting better. Magnificent show. Wow! A rock lover’s dream come true! Very nice collection of photos! Such variety in colours and textures Jude. Jack would be in seventh heaven here as he loves to collect rocks. We have boxes and boxes of them stashes away, as well as the hundreds on show around the garden. It is frowned upon to take stones from the beaches here. Shells are OK and sea-glass, but not rocks or pebbles. I must confess to having one or two myself though, even one from Australia and one from Namibia.